Kyrie Irving has given Celtics fans plenty of reason to doubt he'll stay in Boston this summer. But Danny Ainge is just as intent on keeping Irving around as he was before this tumultuous season began. Do the Celtics still want to lock Irving up for the long term? "Yes," team president Danny Ainge told The Crossover. Has anything that has happened this season made Ainge rethink that position? Ainge's confidence comes in the face of several warning signs from Irving: reneging on a promise to re-sign with Boston by telling reporters to "ask me July 1" about his pending free agency, publicly expressing his exasperation with Celtics players and coaches on several different occasions and questioning the resolve of Boston's young players amid an underwhelming regular season. But Ainge's trust in Irving is nothing new. After the All-Star's "July 1" comments back in February, Ainge assured us the team's relationship with Irving was like an "engagement" that he expects to consummated with a marriage this summer. Ainge also insisted in a 1-on-1 interview with NBC Sports Boston's Abby Chin he's talked with Irving "a lot" and isn't worried about how an early playoff exit could affect his point guard's decision to stay or go. 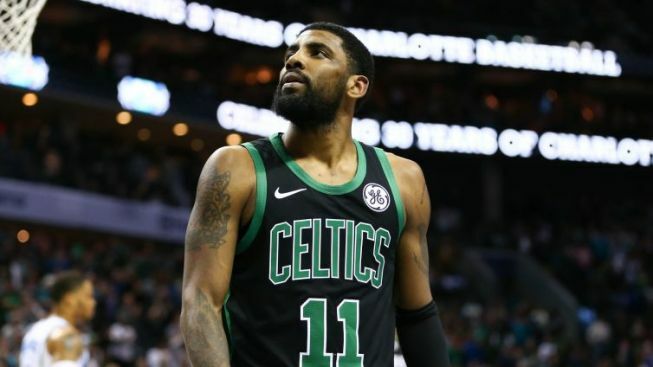 Celtics fans aren't wrong to be concerned; the New York Knicks or Brooklyn Nets could be logical fits for Irving this summer, especially if the Knicks land his close friend Kevin Durant. But they can take some solace in the fact that their GM is standing his ground.